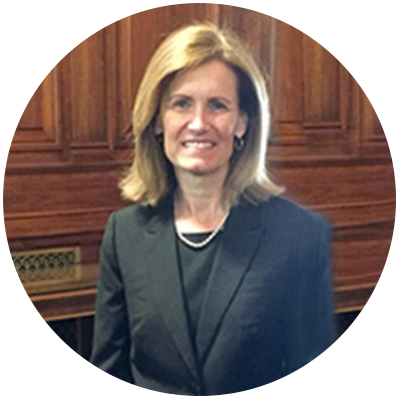 Since her admission to the Pennsylvania and Massachusetts bars in 1988, Janet has been a civil litigator and trial lawyer, representing businesses in state, federal and appellate courts, as well as in independent and inter-company arbitrations and mediations. Her litigation practice has involved patent and trademark matters; various insurance-related matters, including product liability claims; insurance bad faith claims; arson and fraud claims; personal injury, motor vehicle, and other claims; and providing legal opinions on insurance coverage issues, including environmental law and pollution claims. Janet was a Partner with Blackburn & Sistare from 1991 to 1996, and with Moller, Peck & O’Brien, L.L.C., from 1997 to 1999, and a member of the Massachusetts and Connecticut Bar Associations, as well as a member of the DRI, Defense Research Institute, Insurance Law Committee. She also served as Co-chairperson of the Hartford County Bar Association, Small Firms Committee (1999-2000), and as a Faculty Member of the Connecticut Trial Advocacy Seminar (1999). She was awarded a BV rating by Martindale Hubbell in 2000. In 2000, Janet took a temporary leave of absence to raise her young son and daughter. In 2004, she returned to practice in an of counsel position with Miele Law Group PC. Janet received her Bachelor of Arts degree with a double major in History and Legal Studies from the University of Massachusetts / Amherst in 1985. She received her Juris Doctor degree from the Western New England College School of Law in 1988. She was admitted to practice in Massachusetts and Pennsylvania in 1988, and in Connecticut in 1989. Janet most recently became admitted in New York in 2015.